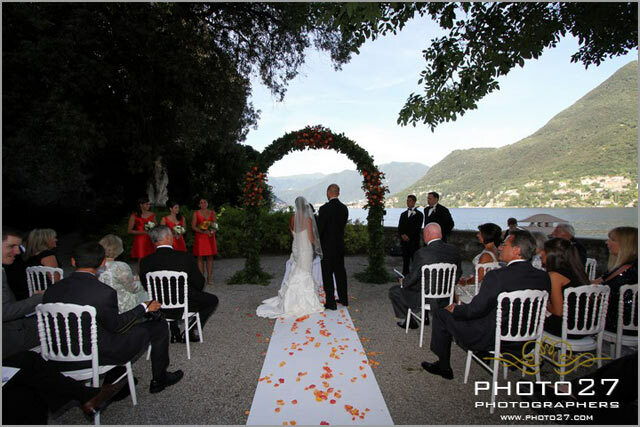 …Jennifer and Theodore gifted themselves a romantic wedding day on Como lake, in a wonderful private villa in Cernobbio. 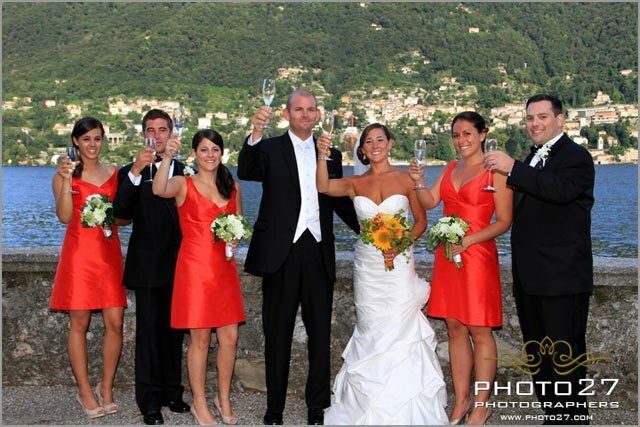 They both came from United States and chose to celebrate their special day on Lake Como a real dream! 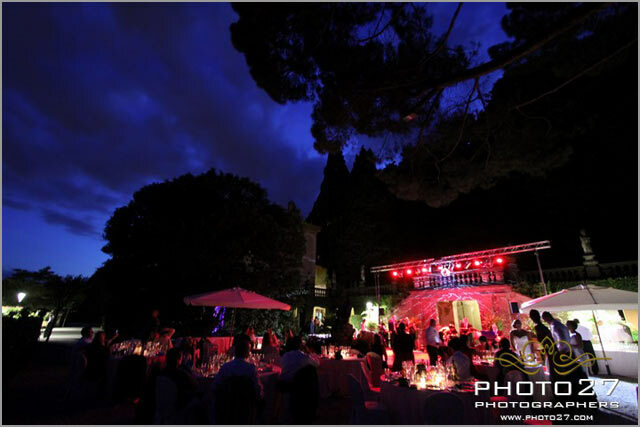 They enjoyed the whole day, from ceremony to final dancing party, in this gorgeous villa, a wonderful setting to make this day even more special. 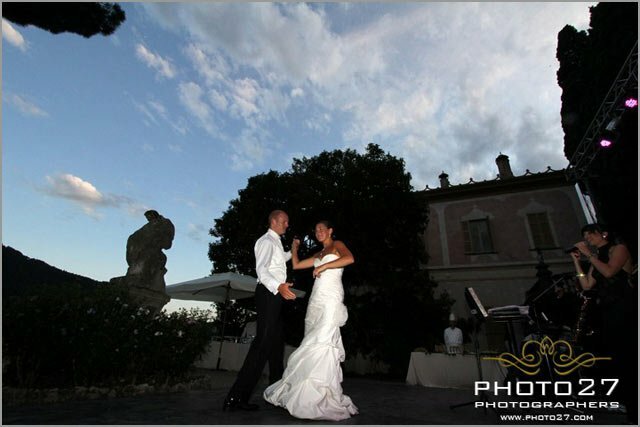 The villa has a wide terraced garden that allow you the possibility to personalize it as you prefer on a special day like your wedding could be. 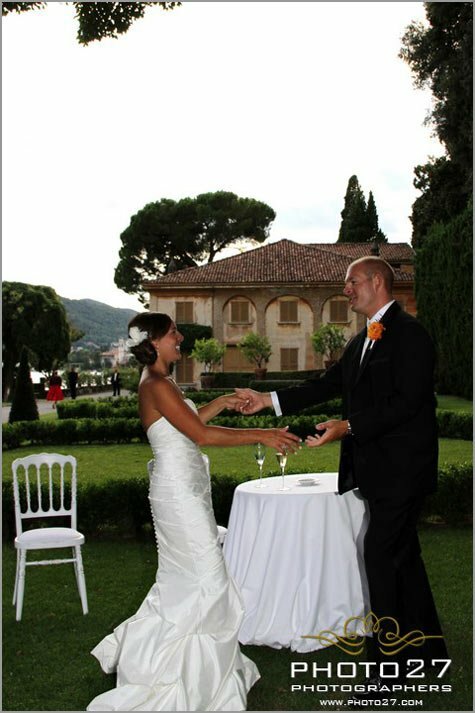 Jennifer and Theodore exchanged their marriage vows on a big terrace. 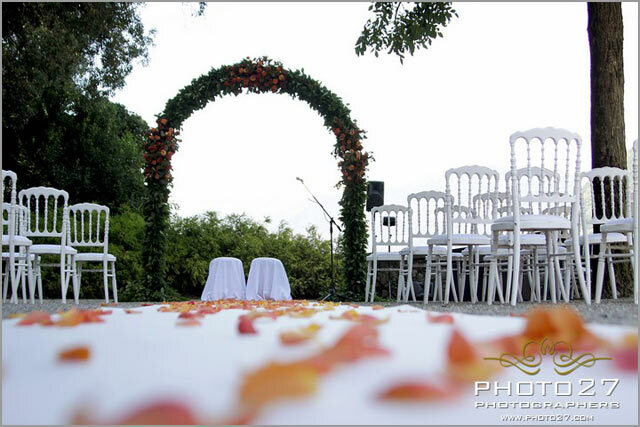 Mountains sprang from the waters offering a perfect and romantic background for the ceremony. 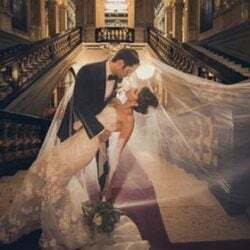 Jennifer reached her moved groom walking on a soft aisle covered with petals and then, under a gorgeous arch full of red coral flowers, they promised each other eternal love. 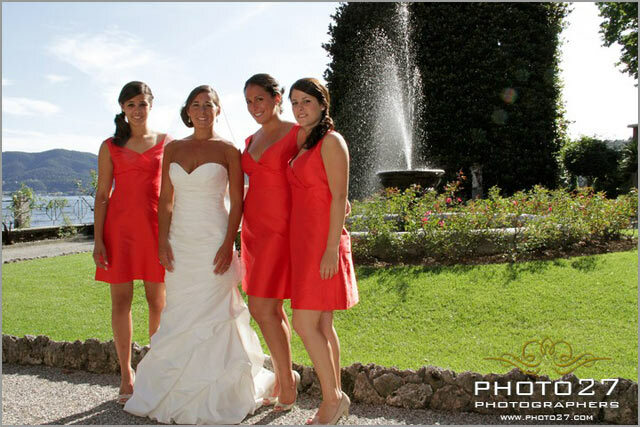 After the ceremony they took wonderful pictures on another part of the terrace, which gives a different, but absolutely amazing, point of view of the lake. 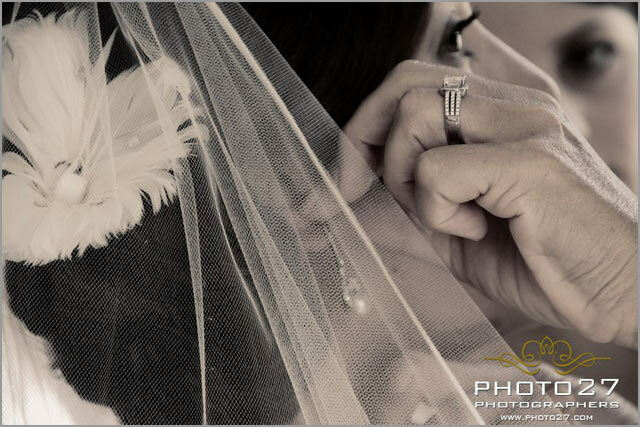 A very special thank to Photo27 photographers Diego and Estella who have been simply gorgeous! 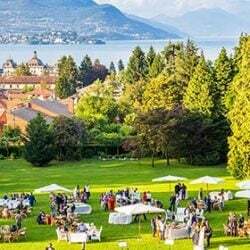 The aperitif and light cocktail was served on a green meadow among secular trees giving the chance to bride and groom to mingle with their guests. 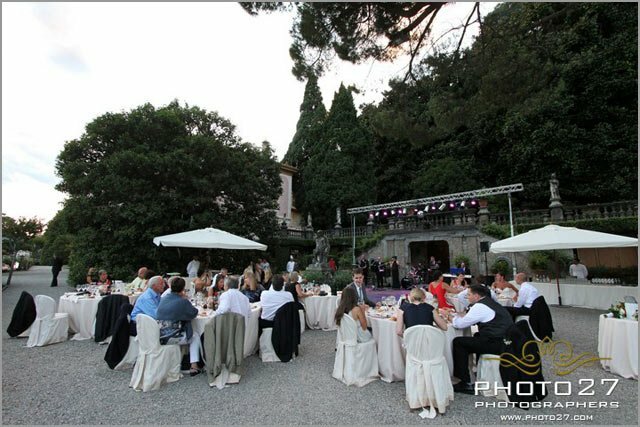 After that the group reached area of the garden arranged for the dinner. 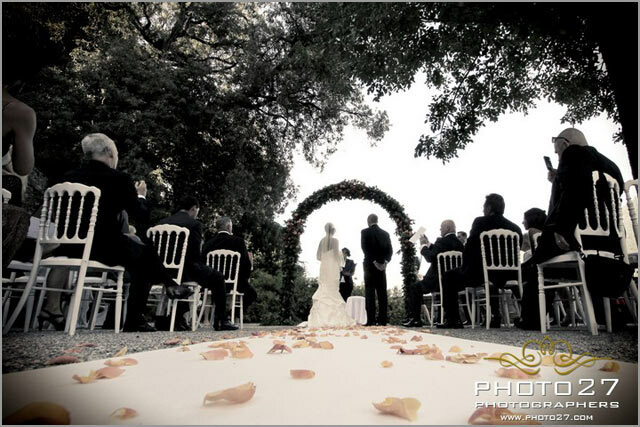 Every wedding has a theme and Jennifer and Theodore chose a really original one! 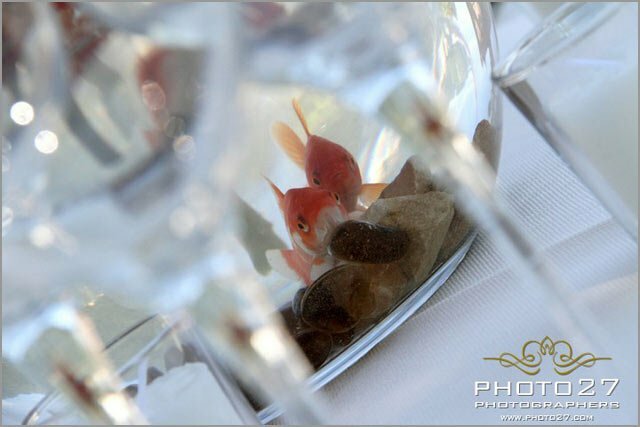 They decided to put on each table a bowl with two goldfishes inside to represent their love and Theodore’s passion for fishing. 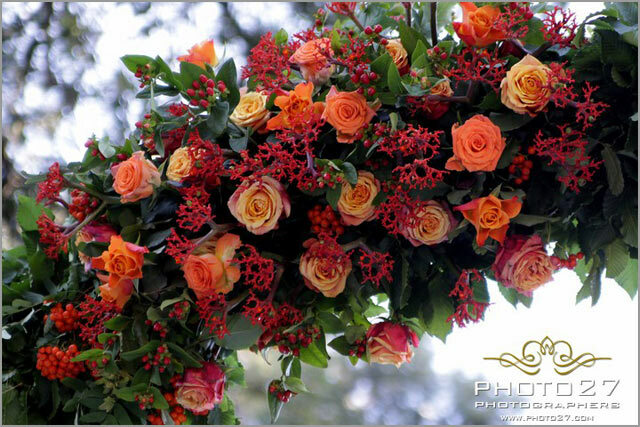 A sweet and lovely idea! 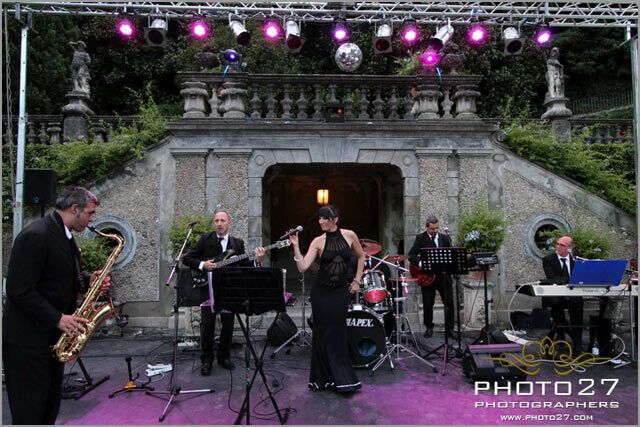 The dinner buffet was delighted by a band, that emphasized with romantic music the most touching moments of the evening, like the cake cut or the dance between the groom and his mother. 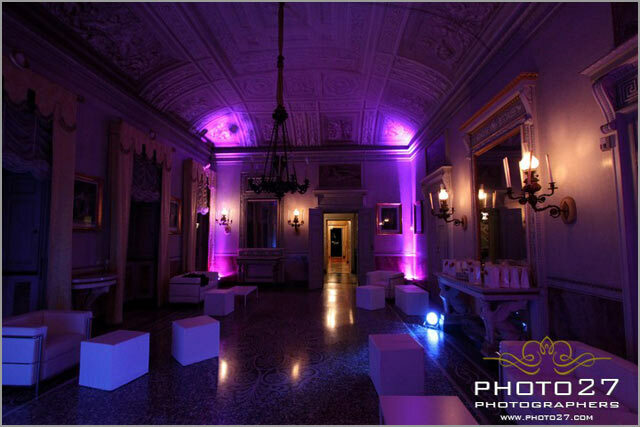 The venue continued cheerfully till late night with wild dances and many toasts!! 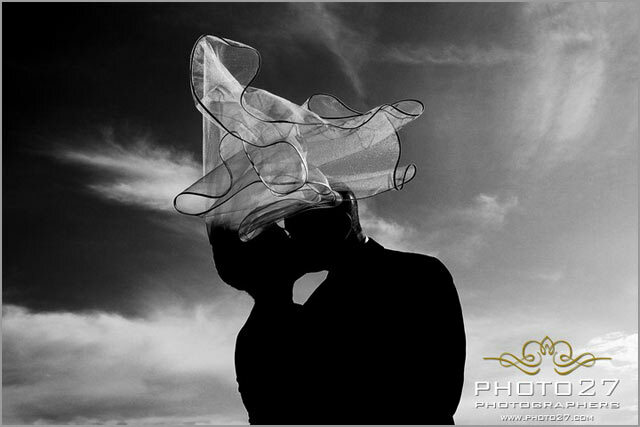 And then the two goldfishes Jennifer and Theodore left the party to finally start their lives as Husband and Wife! 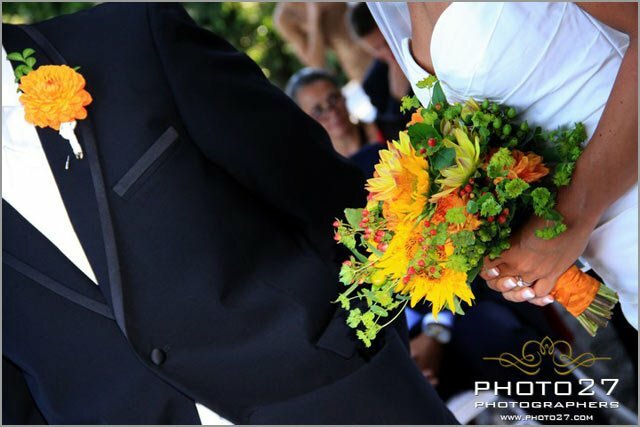 Congratulations guys and may your life be perfect just like your wedding day! 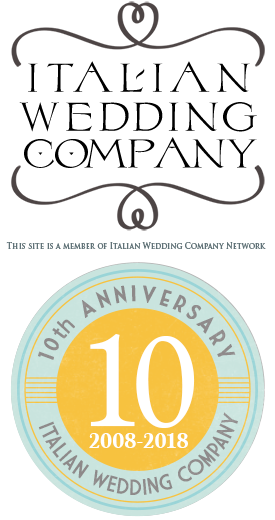 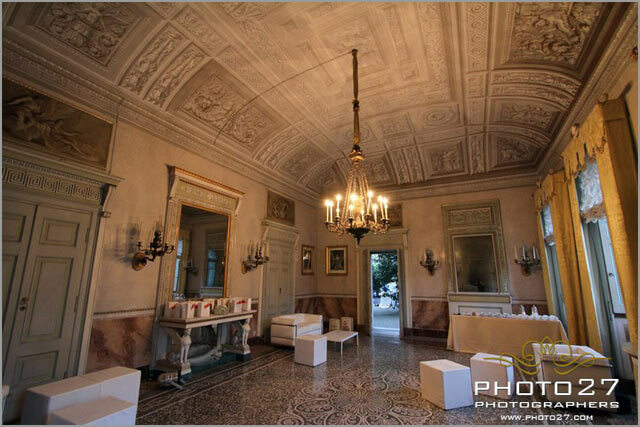 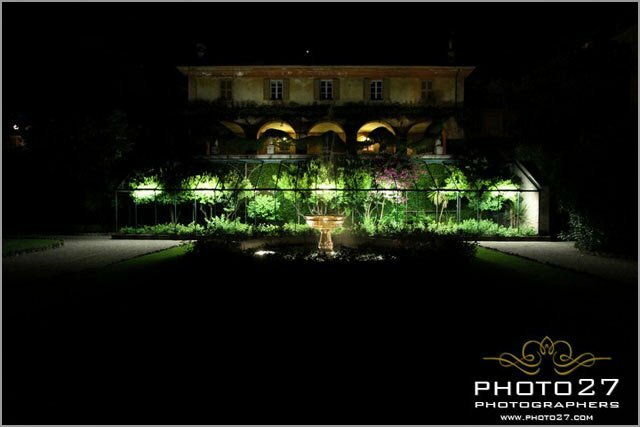 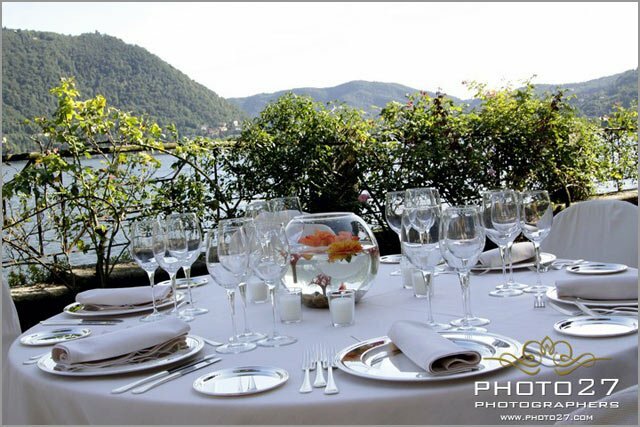 For more information about weddings in Cernobbio Lake Como – please contact us. 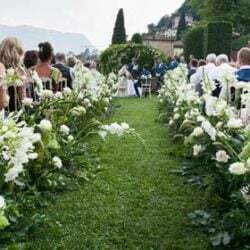 ← What are the most important details a wedding planner needs to know?